A bright red sea of poppies is to cascade down the side of medieval Tamworth Castle in Staffordshire as part of an extra special Remembrance Day celebration which will also mark 100 years since the end of World War One. Thousands of poppies made out of used plastic bottles will be attached to a net and dropped from the parapet wall of the castle and down the motte to create a spectacular waterfall of colour on Sunday 11 November. The event, which aims to mirror the recent huge poppy display at the Tower of London, will pay tribute to the sacrifices made by men and women fighting for their country a century ago which coincided with the signing of the Armistice in 1918. 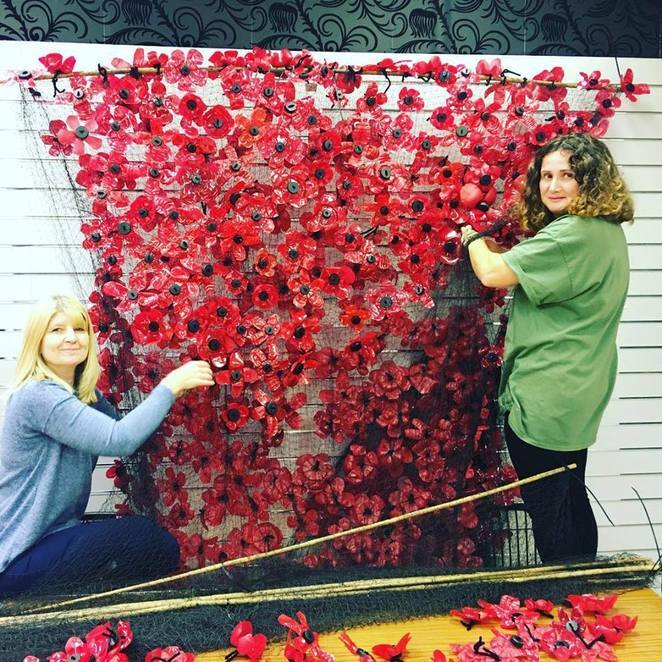 People of all ages are being encouraged to get involved in this huge community project to make it the biggest and most impressive display possible to greet the Remembrance Day parade when it makes its way into Tamworth Castle Grounds on November 11. Already industrious members of Tamworth Ladymeadow WI, Girlguides, Scouts and community groups have created more than 2,000 poppies out of used plastic bottles following the launch of the project at Tamworth's Ankerside Shopping Centre when members of the public were invited to help make poppies during a drop-in event. For added incentive, fish and chips shop Oceans of Tamworth has offered to give away a cone of chips to every person who takes their completed poppies to the restaurant. Making a poppy is simple and can be done at home. It is hoped that schools, community groups, businesses and residents of sheltered housing schemes will also get involved. 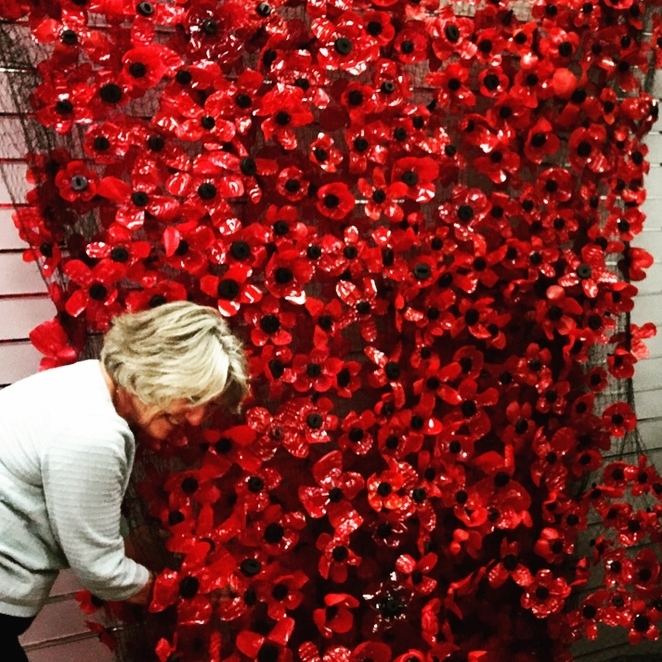 As well as Oceans of Tamworth, completed poppies can also be dropped in a collection bin outside the Ladymeadow WI group's temporary base of operations in a unit at Ankerside Shopping Centre. The WI members are sharing the unit with the Royal British Legion to work on the project – which is a joint venture between Tamworth Borough Council's Arts & Events team, Tamworth Castle and the WI – and to raise awareness of the legion's charity work in the run-up to the Remembrance Day event. Councillor John Chesworth, Cabinet member for Culture and Operational Services at Tamworth Borough Council, said: "It's certainly an ambitious challenge that has been set, with a target of at least 4,000 poppies required, but I'm sure Tamworth people can rise to the occasion. It would be a wonderful tribute to have a large and impressive sea of poppies cascading down the Castle that not only looks stunning but has been put together by Tamworth people of all ages in memory of our fallen soldiers." 5. 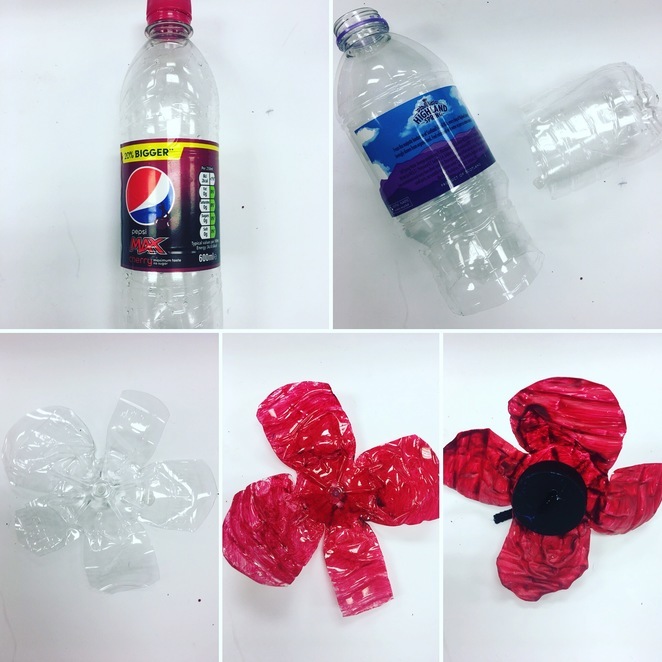 Paint the lid of your bottle black, put two holes in it and tie it to the centre of your poppy shape with a black pipe cleaner. For more information on getting involved, or to arrange a poppy making demonstration, contact Tamworth Borough Council's Arts & Events team by calling 01827 709314. It was such a great honour to help make the poppy's that cascades from the castle. It was such a lovely way to remember all the men & women who sadly lost their lives in the great war. I would love to take part in anything like this in the future. We have such a lot to be thankful for, for the sacrifice those lovely men & women made for us 100 years ago.